We are one of the well-known business organizations in the industry that manufacture and supply a huge variety of Brass Turning Components. These components are manufactured using premium grade raw material, which is obtained from trusted vendors. Furthermore, keeping needs of various industries in mind, our professionals design these products in variety of specifications. 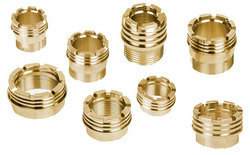 All our esteemed clients can avail a wide array of Brass Turning Components from us. These components are used for applications that feature high pulse high voltage. Designed keeping in mind the varied industrial requirements of customers, these components are assured for their compliance with the defined quality standards. Additionally, our products are packed in a proper packaging using finest quality packaging material. 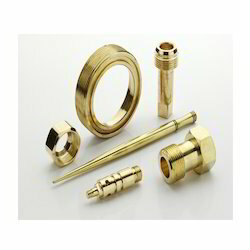 The finest and a diverse range of Brass, Copper, Aluminium and SS Fittings and Parts is manufactured, supplier and exporter by us in the Indian market and International Market. 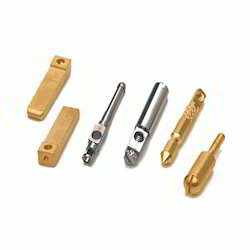 Cnc Brass, Copper and Alumunium Components for Electrical, Electronics and any other industries as per customer drawings and samples. 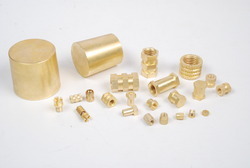 We are manufacture of Brass, copper and Alumunium Turmned Components. Plating : Nickle, Chrome, Tin as per customer Specification.